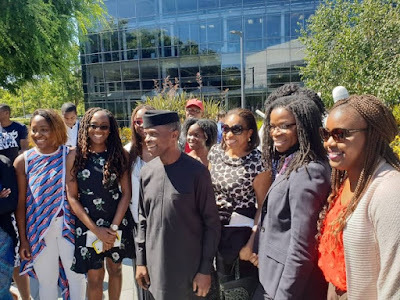 Vice President Yemi Osinbajo was yesterday at the Google headquarters, Silicon Valley in US. 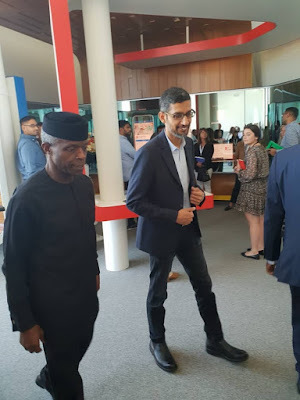 He was received by Google CEO, Sundar Pichai. 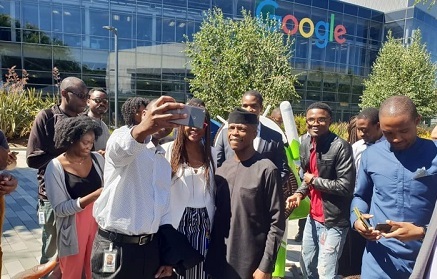 He met and interacted with Nigerians working in Google headquarters. 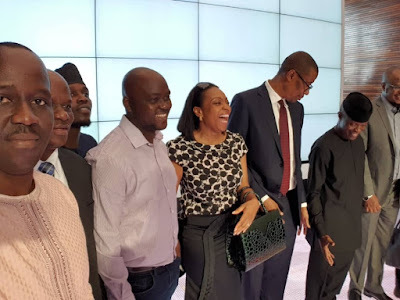 Osinbajo is in the US to promote tech innovation and entertainment industries in Nigeria.